If you are new to hiking, then you probably don’t know much about which exact equipment you will need to bring along with you on the trip. This is a common case with rookie hikers, but the truth is that the only way to find out is to get out there, gain some experience and even make some mistakes along the way. The truth is that there is no set list of items that everyone has to bring with them, but then again there really isn’t any need to be prepared for every eventuality this early on anyway. In the beginning, you should avoid tuff routes and focus more on bringing as few items as you can in order to be able to preserve your stamina and develop your skills a bit before you move on to anything that you might need specialized equipment for. But, there is an item that you could bring along that is always useful and doesn’t even weigh all that much – a water purifier. If you prefer to do your shopping online water purifier can be found at almost any camping store. 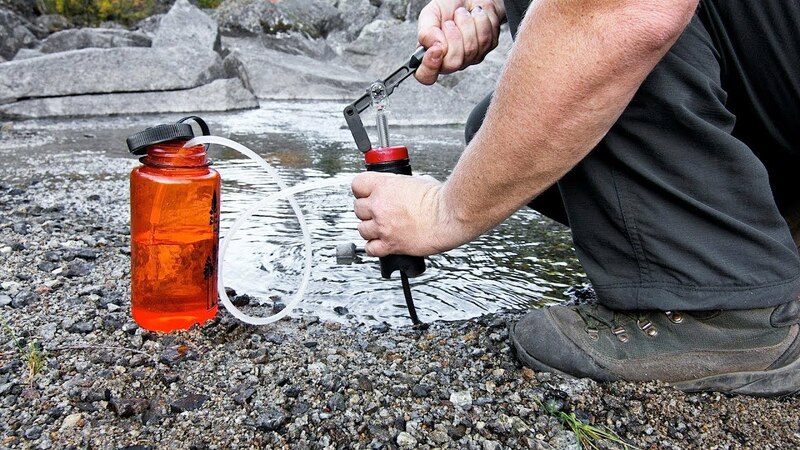 They are incredibly useful devices that can help you gather water from readily available sources and make it safer to drink if you have any suspicions as to how clean it is. This means that if you run into a stream or some other source of water, but are unsure of what the water may contain or what there may be upstream that can pollute it in any way, then you just have to take out your water purifier and put your worries to rest. It is important to note that there is no way to completely remove every contaminant in the water even if you carry around and use both a water filtration and purification system together, but it will still be safe to drink provided it doesn’t come straight from a sewer. While on the subject of water filters, what exactly is the difference between a purifier and a filter? Well, aside from the fact that you go to a camping store website and easily find many different online water purifier devices, as well as filters, the main difference lies in the method with which they clean the water. The water filters remove particles, contaminants, and impurities from your drinking water by using a sort of barrier to segregate the harmful chemicals, but it isn’t capable of doing this with all of them. The purifiers, on the other hand, use a chemical themselves like iodine or chlorine to remove even the bacteria that the filters can’t, but at the expense of also removing the useful minerals from the water as well. If my two cents is worth anything, then I would suggest you go with the purifier since even if it does get rid of minerals that would be useful for your body, you won’t be gone for two weeks, and can probably make it through the short hiking trip without them.